It’s mid-summer and let’s face it, for many it is far from “prime time” to catch a bass. Cooler days are just around the corner but for most this is the time of year when bass fishing slows. 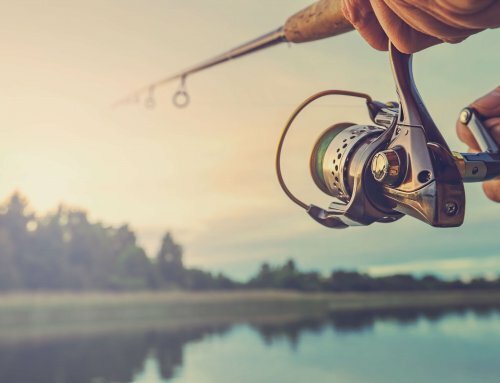 The reality of the situation, however, is that the heat of the summer can actually supply some great fishing for those who are ready to mix it up. 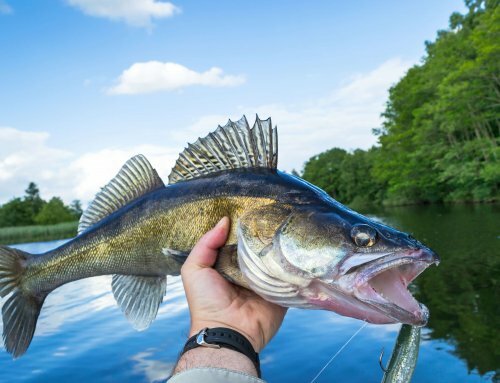 During summertime months there are a few classic presentations that people reach for in order to put bass in the boat. For many it is a topwater frog, Texas-rigged worm or a spinnerbait. I’m not trying to say these baits don’t produce, that’s not it at all. But one might be amazed as to how a simple change can really produce big time. With so many different soft plastic style baits on the market today it can be hard to decide what body style to use. One specific body style that has really blossomed over the past few years is the creature-style bait. From tournament pros to just the average angler, these baits have proven to be dynamite when it comes to catching bucketmouths. The look of a creature bait plays into its role as a very universal plastic. 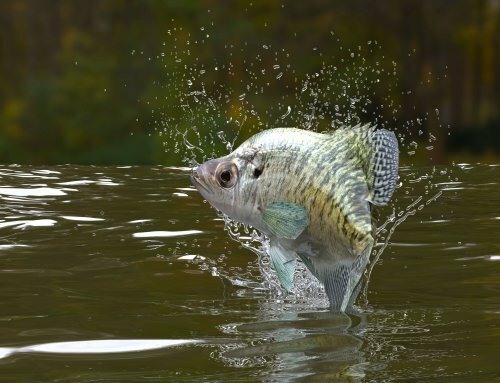 It can imitate a bluegill, a crawdad, a bullhead, salamander or just about anything that largemouth like to feed on. Some of these plastics can be found with more “moving” parts to them. Open water situations are great to use baits like this in. Another category could be found in the sea of creature bait choices; the more subtle version. Baits like this tend to have parts that don’t swim or do much of anything in the water. They are more there to add bulk to the bait and give it a larger profile. The great thing about these odd-looking baits is that they are at home most anywhere you can throw them. One of the best places to entice warm summertime bass into biting is up near the bank. From rocks to weed to wood, the bank has all the cover and food to keep a bass content. There are really only a few options when it comes to tackle for throwing these baits shallow. First is the rod. Some of the baits are bulky by nature, then you add a weight and decent sized hook to it and you have one hefty offering to present. That is why most people who fish these baits prefer a 7 foot med-heavy rod. This is about the best all-around rod that you can get. You can get away with a shorter rod but I would say nothing less than a med-heavy action rod. The key is to have that pulling power in your rod to get the fish up and out of the cover. The number one choice for line when fishing shallow cover is braided line. Braid allows you to cut through the weeds when you set the hook, and has zero stretch to help drive the hook home. Another great feature is that your sensitivity goes through the roof with braid. You can feel every little thing that bait is doing underwater. 30 to 50-pound Sufix 832 braid should work in most any situations, though, if you are fishing some serious cover then 65-pound is the way to go. The main reason for using bigger sized line is to help prevent the line from breaking on the initial shock of the hook set. Fluorocarbon works well too if the fish seem line shy or flouro is just what you feel more comfortable with. In that case go with something in the 15 to 20-pound range. The main way that any creature bait will be rigged to fish it most effectively is a Texas rig. 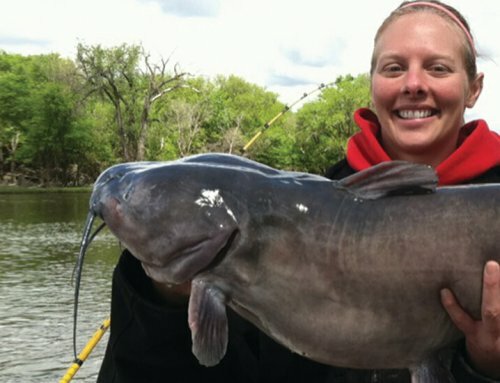 Hook size is generally determined by what size bait and line you have. A 4/0 extra wide gap hook should work in most situations, though if you are using bigger line a 5/0 EWG is a top choice. Another style of hook that works great would be straight-shank flippin hooks. These tend to work better with smaller bodied baits and have a keeper on the shank to hold your bait up. For this style of hook a 3/0 or 4/0 is perfect. Although, if big line and big fish are your style then a 5/0 might be the way to go. Match these hooks with a 3/8, ½ or even a 1-ounce weight depending on the thickness of the cover. If you are fishing around thick cover that you want to get the bait through, peg the weight to the line. This way the weight stays next to the hook and pulls through cover better. Rubber bobber stops work great to peg weights because they will not fray the line like a toothpick does. Having a selection of creature baits can really help put the odds in your favor. Whether this means two different styles or 20, being able to give the fish what they want is crucial. There are many companies out there that make creature baits. Trigger X, Zoom, Strike King all make great creature baits, though there are numerous more companies out there. Trigger X offers a wide range of baits that include the Hodad, Flappin’ Bug, Goo Bug and the Moe and they are all deadly on green fish. One of the most important things to help your presentation is to match the cover to the style of your creature bait. What I mean by that is you don’t want to throw a giant chunk of plastic like the Flappin’ Bug into really think weeds. The bigger baits tend to get hung up or may not even break through the canopy of the grass. In thick weeds, a smaller more compact bait like the Goo Bug excels. It still has bulk to help draw attention to it while at the same time is slender enough to slide through the cover. The Hodad is another great choice for fishing grass. It fishes like a tube except that the tentacles fold back towards the bait when you let it sit on the bottom. And when it comes to colors to use and when, I say keep it simple. With clear water go with more natural colors like green pumpkin, watermelon or pumpkinseed. In dirty or stained water go with darker colors – black/blue, black/red something along those lines. These small compact creature baits work wonders in shallow weedy areas. Like any other shallow presentation, focus most of your time to high percentage places. Most of these spots consist of weedline transitions, points, turns or bottom content change. Any subtle change is a prime ambush spot for a hungry largemouth to be residing. Weed changes where you have two or more kinds of vegetation meeting are always going to be prime holding areas for the bass. Even pockets or holes in the grass are going to be key locations. Don’t be afraid to cast into the nastiest, gnarliest mats of weeds you can find. These thick canopies provide much need shade to keep big bass cool. Another type of shallow cover that shouldn’t be over looked is hard cover. Spots like these consist of rock, wood or docks. If you can find an area that has hard cover and weeds mixed together, then the odds you will find a fish there go up dramatically. Not all hard cover is created equal though. Depth can be a little more crucial with this type of cover. Most of the time having deeper water some place nearby helps to draw fish out of deeper water and onto the shallow cover. When fishing hard cover the bigger and bulkier creature baits are the way to go. The Trigger X Flappin’ Bug and Big Moe are two favorites to tackle shallow hard cover. These baits come in smaller sizes, but don’t be quick to judge the bigger bait. Big fish want a big bait, yet smaller fish will inhale it just as quickly. There is no doubt that creature baits have crept their way into the soft plastic world for good. 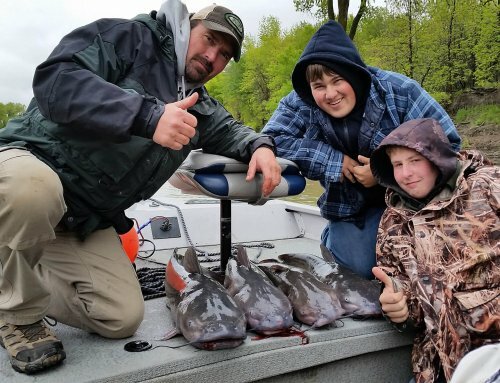 They absolutely produce tons of bass, with bigger bites to boot. Many anglers have yet to embrace the new styles of baits but the results will speak for themselves.